First, Hot Wheels DLC arrived in Rocket League, allowing you to race around the arena and shoot goals as some of Mattel’s most memorable vehicles. But now, the tables have turned! 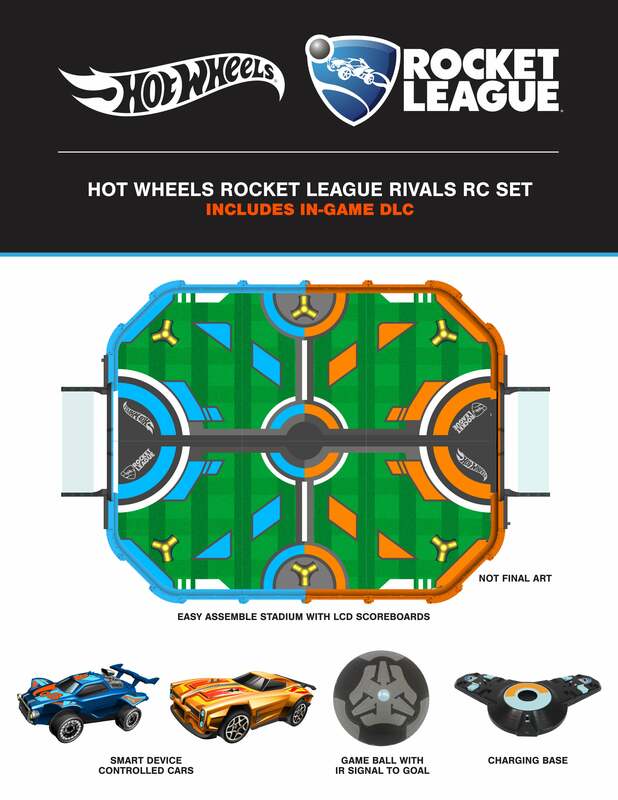 Teaming up with Hot Wheels, Rocket League is coming to a living room near you with the Hot Wheels Rocket League RC Rivals Set! Featuring the ‘Octane’ and ‘Dominus’ vehicles in remote-controlled form, as well as the iconic Rocket League ball, and a charging base that sits under the custom field mat that looks as if it was ripped straight from the game! Scores are tracked with a digital scoreboard that even has sounds when the ball goes through for a goal. The set also comes with some bonus unique DLC content, of which details will be announced closer to launch. With a tentative price of USD $179.99 (no AUD pricing yet) this is sure to be one of the hottest toys of the year! For more information, see the official post here.